An explosive blend of rainforest fuel, this WISE chocolate is a first class ticket to tropical bliss. 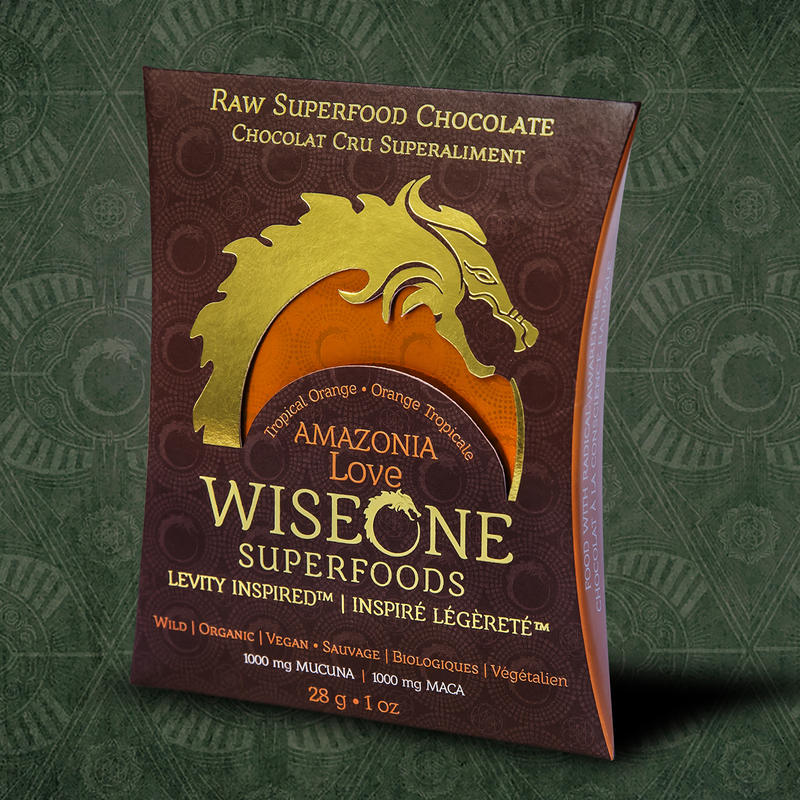 Our Amazonia Love chocolate bar is designed to instill passion and excitement in those who choose to enjoy it. We’ve chosen a blend of Amazonian superfoods that help to increase sensations of well being, balance hormones, and improve male and female libido, all the while delivering incredible micro-nutrients. This is the perfect chocolate for anyone looking for that little boost to send the sparks of passion flying. Maca is the highest altitude edible vegetable on Earth, eaten by the Incan’s before battles as an energy boosting super tonic. Maca helps to balance the endocrine system by supporting the adrenal and pituitary glands. It is known to completely alleviate thyroid conditions due to its hormone balancing components. Like all root vegetables, it helps to detoxify the brain. Maca is great for people looking to support the endocrine system and maintain balance while on the pursuit of peak performance. One of the fastest growing plants on Earth, Mucuna contains EL-Dopa, which triggers dopamine production, helping to elevate mood and increase well-being. Acai berry is species of palm tree, which grows up to 25 meters high in swampy areas of Central and South America. Acai berries contain anthocyanins, an anti-oxidant that gives Acai its deep purple color. 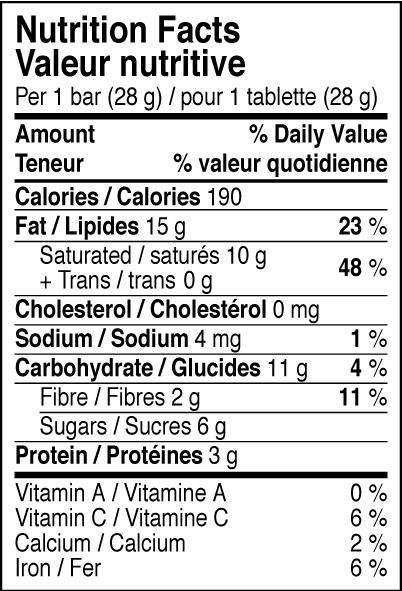 Maqui has more anti-oxidants than any known superfruit, including acerola and acai. Maqui grows on small evergreen trees in Chile and Argentina and is now widely cultivated for its medicinal use. Acerola Cherry is a tropical or subtropical plant native to the Yukatan and is now cultivated in tropical areas around the world. Acerola contains 32 times the amount of vitamin C found in orange juice and is high in anti-oxidants such as carotenoids and bioflavonoids. What all of these berries have in common is their high amounts of anti-oxidants. Anti-oxidants assist the body in fending off free-radicals, which cause oxidation and contribute to aging and diseases like heart disease and cancer. Similar to how an apple will go brown, or a nail will rust, free-radicals scour the body and essentially steal or donate electrons, causing oxidation and damage to our cells, DNA, and genetic material.